Another error in the history of my family. 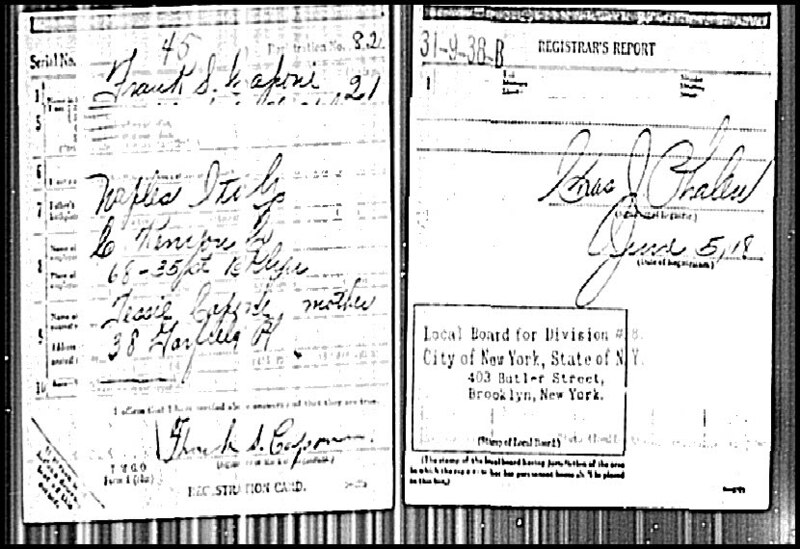 This is the so believed draft card of my uncle Frank Capone. 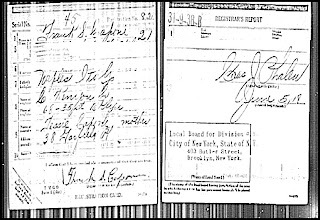 It says he was born in July of 1896 in New Jersey. He was born in New York in December 1895. It also says his mother's was 'Tessi' his mother was Theresa. And the last name is spelled 'Caponi' we have always spelled it Capone.